Okay, think of, say, a rowing team. An eight-man scull with a coxswain skims along. CLOSE ON ONE ROWER, moving his oar counter to the others. behind the boat. Math expressions overlay the swirls. others, and follows it back to the one oarsman. 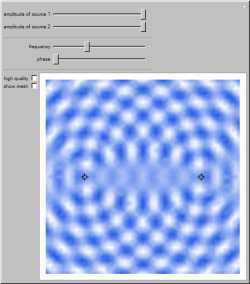 This Demonstration shows interference patterns made by waves from two sources. dead and brutally beaten. Blueprints of the schools. 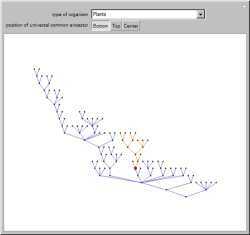 correlate to the expected system. Charlie takes a breath as he gets ready to lower the boom. for any known terror group. The process of removing all the existential quantifiers from a formula is known as Skolemization. 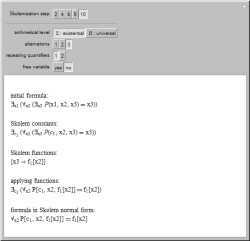 The result is a formula in Skolem normal form that is equivalent in computational complexity to the original. This Demonstration shows the rewriting process of a Skolemization step by step for all general cases up to three quantifier alternations and seven variables or constants. The biodiversity of Earth has captured the interest of naturalists for many hundreds of years. With modern-day molecular and genetic techniques, it is possible to better understand the relationships between organisms, which are often shown in a phylogenetic tree. 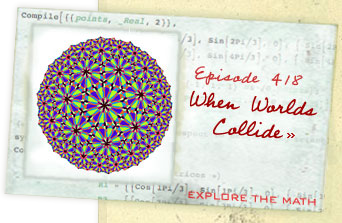 This animation shows a constructive version of the Banach-Tarski paradox discovered by Jan Mycielski and Stan Wagon. 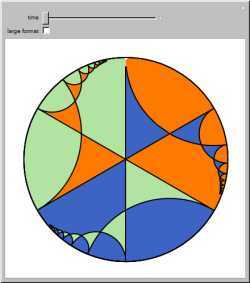 The three colors define congruent sets in the hyperbolic plane H, and from the initial viewpoint the sets appear congruent to our Euclidean eyes.